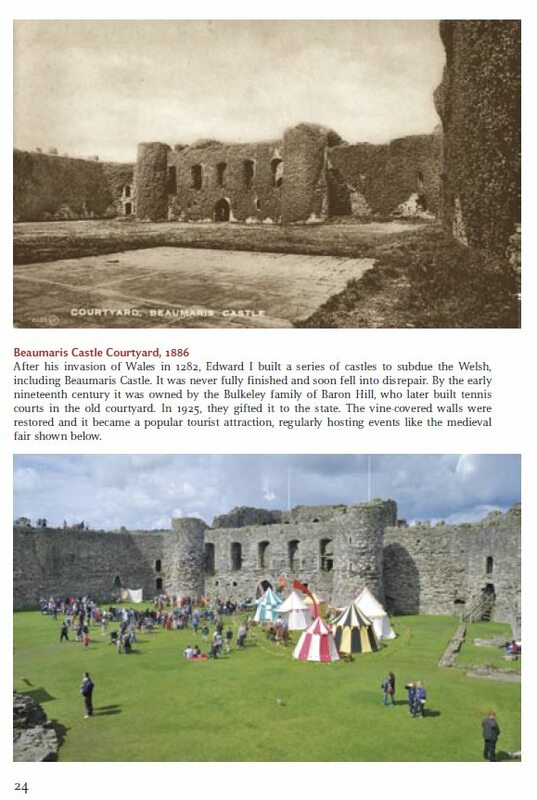 Anglesey is an island steeped in history. Situated off the North Wales coast, Anglesey (known as Ynys Môn in Welsh) has seen many peoples come and go. Prehistoric standing stones and burial chambers dot the landscape alongside Iron Age and Roman era settlements, medieval churches, seaside fishing villages, Victorian towns and modern industrial sites. Anglesey Through Time documents this rich history through the medium of photography. Each point of interest is illustrated with a pair of photos, one from the 19th to early 20th century and another recent one, together with a short description of their historical significance. The high streets of towns such as Llangefni, Beaumaris and Menai Bridge are pictured with their modern shop fronts alongside black and white images of their old, simpler facades, complete with horse-drawn carts. The Menai and Britannia Bridges are shown with their older chain and tubular structures compared to their current refurbished forms. Ports like Amlwch are pictured teaming with sailing ships in the old days and with their current complement of fishing boats and pleasure cruisers. This book will be an excellent companion to those who are discovering the island for the first time, as well as long-time residents who have wondered what their area looked like in their grandparents’ days. You can view reviews of the book here. 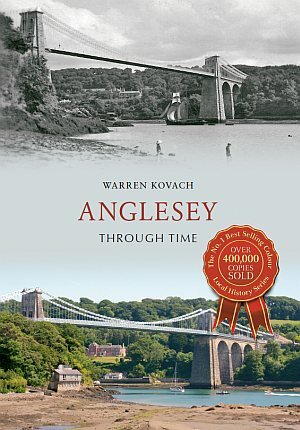 Warren Kovach is the author of the popular Anglesey-History.co.uk website, which highlights many aspects of the island’s history, supplemented by many of his own photographs. Born and raised in Ohio, USA, he moved to Anglesey in the early 1990s and soon set about exploring its history and landscape. He has a Ph.D. as a researcher in biology, ecology and palaeontology, but later moved to developing scientific computer software. He is also a keen photographer and has had his photos published in many national newspapers, books and magazines around the world. He is also a trustee of the Menai Bridge Community Heritage Trust. You can follow him on Twitter at @AngleseyHist or on the Anglesey History Facebook page.